Before :- S.B. Sinha, Dr. Mukundakam Sharma and H.L. Dattu, JJ. Criminal Appeal No. 1397 of 2007. D/d. 31.03.2009. For the Appearing Parties :- Sushil Kumar, Sr. Advocate with B.B. Singh, Ms. Binu Tamta, Ms. Sushma Suri, Santosh Kuma, D.M. Nargolkar, Shakil Ahmed Syed, Ms. Praveena Gautam and C.D. Singh, Advocates. S.B. Sinha, J. - Union of India is before us aggrieved by and dissatisfied with a judgment and order dated 13.05.2005 passed by the High Court of Madhya Pradesh at Indore in Criminal Appeal Nos. 964 and 1108 of 2000. Sub-Inspector Bajrang Lal posted in the Office of the Central Bureau of Narcotics, Ratlam purported to have obtained a secret information to the effect that the respondent Nos. 1 and 2 herein Bal Mukund and Basanti Lal would be carrying about 20 Kg. of Opium on the next day. A preventive party allegedly was formed pursuant to or in furtherance of the said information. At about 0430 hours on 21.06.1998, they reached Nayapura Phanta on Ratlam Jaora Road. Respondent Nos. 1 and 2 were seen carrying cement gunny bags. They were searched. 10 Kgs. of Opium packed in 5 polythene bag of 2 Kg. each from each of them were said to have been recovered. ...My father is debt ridden to Amritlal Anjana out of Rs. 38000/- out of which Rs. 18000/- has been paid now. Their balance is Rs. 20,000/-. This sum of Rs. 38000/- were given to me by Amritlal Anjana for motor for well and some amount was taken in cash. Amritlal suggested that if I wishes to liquidate my father's debt then I should away opium and give it to suggested destination. I shall give good wages against it. A sum of Rs. 3000/- were decided for carrying the opium. I came from my village Nandwell to Behpur and Basantilal who is my relative. Both met Amritlal Anjana at 10-00 night at his well Amritlal Anjana by Giving 10-000 Kgs each of us with the opium and directly to go on feet towards Nandi. He also said he would be available nearly Nandi Phanta. He said, he would give Rs. 3000/- to each by way of wages when we came on foot by & carrying 10-000 Kgs of opium and reached Nayapura Phatak then Narcotics officers detained us and took our formal search. He found opium in the bag mean for cement weight 10-000 Kgs. Which was seized by Narcotics Deptd. Raltmal and I was detained for carrying illicit opium weight 10-000 Kg. under the office of N.D.P.C. This statement I am giving voluntarily and in full consciousness whether is spoken is underwritten to which I having read and finding it to be correct put my signature. ...On further interrogation stated that they are opium weighing 10 kg and 10 kg opium from my colleague has been recovered for which on interrogation I state truly that on 20-06-1998 Balmukund came to my village Behpur and said that we have to go to Maukhedi at the residence of Amritlal S/o Raghunath Anajan therefore I alongwith Balmukund proceeded for Behpur come to Maukhedi who Amritlal Anjana and that we should go to his well where I shall give you opium or reached the well Amritlal Anjana gave me in a bag of 10 kg of opium and 10 kg to my colleague Balmukund and we should go on foot on unconstructed road and reached Nanda Phatak where I will be awaiting nearly and collect the opium, we were coming on foot towards Nandi then Narcotics officer took our search then in the bag. I was carrying opium weighing 10 kg. was recovered and 10 kg. of opium was also recovered from my colleagues Balmukund. The opium so recovered was taken into Government possession under Narcotic Drugs And Psychotropic Substances Act, 1985. The statement which I have made is in full consciousness, voluntarily and whatever I stated is only written to which I hearing/ read put my signature." 4. Indisputably, they were arrested. Thereafter also they made similar statements. However, as no reliance has been placed thereupon, it is not necessary for us to refer thereto. 5. On a purported confession made by them that they were carrying the said contraband at the behest of Accused No. 3 Amritlal, a search was conducted in his house at about 1.30 p.m. No contraband, however, was recovered. "I state that the 20 Kg of opium which has been seized by Narcotics Deptt. at Nayapura Fantak that I had given to Balmukund & Basantilal which was to be given on foot near Mewasa to a person named Ranjeet who is owner of Dahba to deliver to him about the seized opium. I further state that my family has a licence for the said opium. I had surreptitiously kept 7 to 8 kg of opium which I had kept on the well about which none of my family member had any knowledge to this opium by making aboultertion. I make 20-000 Kg gave to 10-00 to Balmukund & Basantilal for dealing to Ranjeet. I further state that I had never done business of selling opium out of greed I did this act. I was totally aware that there are strict provision for keeping illicit opium under Narcotic Drugs And Psychotropic Substances Act, 1985 but still out of greed I have done this deal. This I have truly state. This I have stated in fully consciousness voluntarily and whatever I have spoken is orally written to which I having read, understanding the same put my signature." 7. Respondent No. 3 was arrested at 6.30 p.m. He purported to have made another confession before the authorities under the Act. He was produced before the Court on 22.06.1998. The investigating officer sought for and obtained his remand for a day which was granted. He purported to have made another statement on 22.06.1998. On his production before the learned Special Judge under the Narcotic Drugs and Psychotropic Substances Act, 1985 (for short "the Act") on 23.06.1998, he was taken to judicial custody. 8. Respondent No. 3 immediately thereafter sent an application to the learned Special Judge, Ratlam retracting his confession. The said application was sent through the Superintendent of District Jail, Ratlam on 24.06.1998. It was received in the Court of the Special Judge on the same day. Respondent Nos. 1 and 2 also filed applications retracting their confessions on or about 5.09.1998. 9. The contraband recovered from the respondent Nos. 1 and 2 were sent for chemical analysis. The report dated 15.07.1998 of the Assistant Chemical Examiner, Govt. Opium and Alkaloid Works shows presence of 01.68% and 02.05% of Morphine by B.P. Extraction from the first sample and the second sample, respectively. "e) While drawing one sample in duplicate from a particular lot, it must be ensured that representative drug in equal quantity is taken from each package/ container of that lot and mixed together to make a composite whole from which the samples are drawn for that lot." 12. The learned Special Judge relying on or on the basis of the purported confessions made by the respondents recorded a judgment of conviction and sentence. (i) Respondent Nos. 1 and 2 could not have been convicted on the basis of their own confessions, which had been retracted, as the same had not been corroborated by any independent witness. (ii) The purported confession made by the respondent Nos. 1 and 2 was not admissible against the respondent No. 3. (iii) The purported secret information having been recorded in writing, as is required under Section 42 of the Act, the prosecution is vitiated in law. (iv) A sample of narcotics having not been taken in terms of the Standing Instruction as also in compliance of Section 55 of the Act, the judgment of the learned Special Judge was unsustainable. (i) The High Court committed a serious error insofar as it failed to take into consideration that the prosecution case stood amply proved by PW-8 S.K. Khandelwal who had seized the contraband from the respondent Nos. 1 and 2 and PW-1 Chemical Examiner who had proved this report as also PWs. 5 and 7 being the witnesses of seizure. (ii) Exhibits 20 and 21 being the confessional statements having been recorded in terms of Section 67 of the Act, prior to their arrest, were admissible in evidence not only against themselves but also against their co-accused the respondent No. 3. (iii) The purported retraction of confession by the respondent Nos. 1 and 2 having not been retracted within a reasonable time and having not been proved as to how and in what manner the same was obtained from them, i.e., whether by intimidation or undue influence; could not have been taken into consideration for the purpose of recording a judgment of acquittal. (iv) PW-7 having proved the sealing of the box which was in compliance of Section 57 of the Act and the seal having been found to be intact, the High Court committed a serious error in passing the impugned judgment. (v) Having regard to the provisions contained in Section 134 of the Evidence Act, it was not necessary for the prosecution to prove its case by examining any independent witness. 15. Mr. Sushil Kumar, learned senior counsel appearing on behalf of the respondent No. 3, on the other hand, would contend that the purported confession made by the respondent No. 3 having been retracted at the earliest possible opportunity, viz., as soon as he was placed in judicial custody, the learned Trial judge committed a serious error in not considering the said aspect of the matter and consequently recording a judgment of conviction only on the basis of confession by the co-accused. (i) The search and seizure having not been carried out in terms of Standing Instructions No. 1/88, the same was vitiated in law. (ii) The report of chemical analyzer dated 15.07.1998 prepared by the Asstt. Chemical Examiner clearly proves that only 01.68% of the seized articles contained heroine is a pointer to show that had the samples been taken in a proper manner, the same would have established their innocence. (iii) The prosecution having committed a flagrant violation of Section 55 of the Act, the judgment of the trial court was rightly set aside by the High Court. (iv) PW-7 M.R. Narvale in his evidence having not identified the bags vis-a- vis the samples taken, the complicity of the respondents had not been proved. (v) Statements recorded on 21.06.1998 as also 22.06.1998 by the respondent Nos. 1 and 2 having been made while they were admittedly in the custody of the authorities under the Act and it having not been proved that there was any element of voluntariness on their part to make statements confessing their guilt, the same would be hit by Sections 25 and 26 of the Evidence Act. 17. Respondent Nos. 1 and 2 were arrested on the basis of some secret information received by the informant. The said purported secret information revealed the exact place, time and quantity of the narcotics the respondent Nos. 1 and 2 would be carrying. It was, however, admittedly neither recorded in writing nor was forwarded to the superior officers. 18. Section 42 of the Act mandates compliance of the requirements contained therein, viz., if the officer has reason to believe from personal knowledge or information given by any person which should be taken down in writing that any drug or psychotropic substance or controlled substance in respect of which an offence punishable under the Act has been committed, he is empowered to exercise his power enumerated in clauses (a) and (b) of Section 42(1) of the Act between sunrise and sunset. Subject to just exceptions, thus, taking down the information in writing is, therefore, very necessary to be complied with. "Provided that if such officer has reason to believe that a search warrant or authorisation cannot be obtained without affording opportunity for the concealment of evidence or facility for the escape of an offender, he may enter and search such building, conveyance or enclosed place at any time between sunset and sunrise after recording the grounds of his belief." Sub-section (2) of Section 42 of the Act provides that such an information reduced in writing should be communicated to his immediate superior officers within seventy two hours. The information was received on the previous night. The purported recovery was made at 5 a.m. Even the Senior Superintendent of Police was aware thereof, who had received the information first and directed PW-7 to conduct the raid. No explanation has been offered as to why the mandatory requirements of law could not be complied with. "12. As far as appellant Amritlal is concerned, he was apprehended only on the basis of the statement made by the appellants Bal Mukund and Basantilal. The only evidence available against him is his confessional statement recorded under Section 67 of the Act. M.R. Narvale (PW-7) has stated in his statement that statement of Amritlal Anjana Ex. P/24 was recorded by him. The contents of Ex. P/24 have not been duly proved by the prosecution. The so called confession has been retracted by the appellant Amritlal. He cannot be convicted only on the basis of Ex. P/24. Even the confessional statements of co-accused cannot form the basis of his conviction. His conviction is not based on the evidence and cannot be sustained." 20. For recording his conviction, confession of the respondent Nos. 1 and 2 had been taken into consideration. "4. It must be remembered that the statement made before the Customs officials is not a statement recorded under Section 161 of the Criminal Procedure Code, 1973. Therefore, it is a material piece of evidence collected by Customs officials under Section 108 of the Customs Act. That material incriminates the petitioner inculpating him in the contravention of the provisions of the Customs Act. The material can certainly be used to connect the petitioner in the contravention inasmuch as Mr Dudani's statement clearly inculpates not only himself but also the petitioner. It can, therefore, be used as substantive evidence connecting the petitioner with the contravention by exporting foreign currency out of India. Therefore, we do not think that there is any illegality in the order of confiscation of foreign currency and imposition of penalty. There is no ground warranting reduction of fine." 22. No legal principle has been laid down therein. No reason has been assigned in support of the conclusions arrived at. If a statement made by an accused while responding to a summons issued to him for obtaining information can be applied against a co-accused, Section 30 of the Evidence Act being not applicable, we have not been shown as to under which other provision thereof, such a confession would be admissible for making the statement of a co-accused relevant against another co-accused. If an accused makes a confession in terms of the provisions of the Code of Criminal Procedure or otherwise, his confession may be held to be admissible in evidence only in terms of Section 30 of the Evidence Act and not otherwise. If it is merely a statement before any authority, the maker may be bound thereby but not those who had been implicated therein. If such a legal principle can be culled out, the logical corollary thereof would be that the co-accused would be entitled to cross- examine the accused as such a statement made by him would be prejudicial to his interest. "[T]he court may take the confession into consideration and thereby, no doubt, makes its evidence on which the court may act; but the section does not say that the confession is to amount to proof. Clearly there must be other evidence. The confession is only one element in the consideration of all the facts proved in the case; it can be put into the scale and weighed with the other evidence." 24. We may, keeping in view the aforementioned backdrop, consider the effect of the purported statements made by the respondent Nos. 1 and 2. "67 - Power to call for information, etc. 26. How and at what point of time the said provision was invoked is not known. The situation in which such purported statements have been made cannot also be lost sight of. The purported raid was conducted early in the morning. A large number of police officers including high ranking officers were present. Search and seizure had been effected. According to the prosecution, each of the respondent Nos. 1 and 2 were found to be in possession of 10 Kg. of narcotics. No information was sought for from them. It is doubtful whether they had made such statements on the road itself. 27. Exhibits 20 and 21 categorically show that they were interrogated. If they were interrogated while they were in custody, it cannot be said that they had made a voluntary statement which satisfies the conditions precedent laid down under Section 67 of the Act. We, in the backdrop of the aforementioned events, find it difficult to accept that such statements had been made by them although they had not been put under arrest. As the authorities under the Act can always show that they had not formally been arrested before such statements were recorded, a holistic approach for the aforementioned purpose is necessary to be taken. "28. This Court cannot overlook the context in which the Narcotic Drugs And Psychotropic Substances Act operates and particularly the factor of widespread illiteracy among persons subject to investigation for drug offences. It must be borne in mind that severer the punishment, greater has to be the care taken to see that all the safeguards provided in a statute are scrupulously followed. We are not able to find any reason as to why the empowered officer should shirk from affording a real opportunity to the suspect, by intimating to him that he has a right "that if he requires" to be searched in the presence of a Gazetted Officer or a Magistrate, he shall be searched only in that manner. As Page 2956 already observed the compliance with the procedural safeguards contained in Section 50 are intended to serve dual purpose - to protect a person against false accusation and frivolous charges as also to lend credibility to the search and seizure conducted by the empowered officer. The argument that keeping in view the growing drug menace, an insistence on compliance with all the safeguards contained in Section 50 may result in more acquittals does not appeal to us. If the empowered officer fails to comply with the requirements of Section 50 and an order or acquittal is recorded on that ground, the prosecution must think itself for its lapses. Indeed in every case the end result is important but the means to achieve it must remain above board. The remedy cannot be worse than the disease itself. The legitimacy of judicial process may come under cloud if the Court is seen to condone acts of lawlessness conducted by the investigating agency during search operations and may also undermine respect for law and may have the effect of unconscionably compromising the administration of justice. That cannot be permitted." [See also Noor Aga v. State of Punjab and another, 2008(3) RCR(Criminal) 633 : 2008(4) RAJ 381 : [2008(9) SCALE 681]. 29. The court while weighing the evidentiary value of such a statement cannot lose sight of ground realities. Circumstances attendant to making of such statements should, in our considered opinion, be taken into consideration. 30. Concededly, the Act provides for a stringent punishment. We, for the purpose of this case, shall proceed on the assumption, as has been contended by Mr. Singh, that the prosecution need not examine any independent witness although requirements therefor cannot be minimized. [See Ritesh Chakeravarty v. State of Madhya Pradesh, 2006(4) RCR(Criminal) 480 : 2006(3) Apex Criminal 406 : JT 2006(12) SC 416 and Noor Aga (supra)]. 31. Where a statute confers such drastic powers and seeks to deprive a citizen of its liberty for not less than ten years, and making stringent provisions for grant of bail, scrupulous compliance of the statutory provisions must be insisted upon. While considering a case of present nature where two persons may barely read and write Hindi, are said to have been used as carrier containing material of only 1.68% of narcotics, a conviction, in our opinion, should not be based merely on the basis of a statement made under Section 67 of the Act without any independent corroboration particularly in view of the fact that such statements have been retracted. "5. There is nothing to indicate that Exhibit P-8 had been elicited from A-2 by any coercion, threat or force and, therefore, the learned Single Judge of the High Court had spurned down that contention. Regarding the complaint alleged to have been made by the appellant Naushad on 11-3-1994, we have perused it. His case therein was that he offered himself to be a witness in the case and some reward was offered for it. It was on the said offer that he agreed to sign the said statement..."
There exists a distinction between a case where the accused himself had stated that he had made the statement on the belief that he would be rewarded and a case where such purported confession had been obtained upon interrogation by High ranking police officials. 33. Yet again in M. Prabhulal v. Assistant Director, Directorate of Revenue Intelligence, 2004(1) RCR(Criminal) 160 : 2004(2) Apex Criminal 82 : [(2003)8 SCC 449], the retraction was made only when the accused was being examined under Section 313 of the Code of Criminal Procedure. No credence was given to such a retraction made after such a long time. This Court taking into consideration the entire factual matrix involved in the case opined that the confessional statement could not be held to be involuntary and they were voluntarily made. Such is not the case here. We have pointed out several circumstances to show that the accused had been put under interrogation. 34. Reliance has also been placed on Kanhaiyalal v. Union of India, 2008(1) RCR(Criminal) 610 : 2008(1) RAJ 140 : [(2008)4 SCC 668]. In that case, no question was put in cross-examination to the police officer (PW-9) whose evidence had been relied upon by the High Court and, thus, his evidence was stated to be corroborative of the statement made by the accused. "15. We are of the opinion that while it is true that a confession made before an officer of the Department of Revenue Intelligence under the Narcotic Drugs And Psychotropic Substances Act may not be hit by Section 25 in view of the aforesaid decisions, yet such a confession must be subject to closer scrutiny than a confession made to private citizens or officials who do not have investigating powers under the Act. Hence the alleged confession made by the same appellant must be subjected to closer scrutiny than would otherwise be required. 16. We have carefully perused the facts of the present case, and we are of the opinion that on the evidence of this particular case it would not be safe to maintain the conviction of the appellant, and he must be given the benefit of reasonable doubt." "19. Apart therefrom the High Court was bound to take into consideration the factum of retraction of the confession by the appellant. 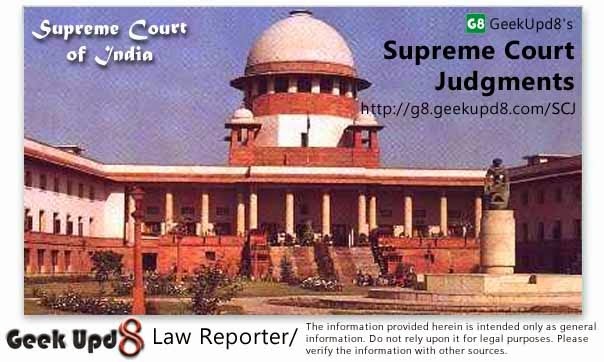 It is now a well- settled principle of law that a confession of a co- accused person cannot be treated as substantive evidence and can be pressed into service only when the court is inclined to accept other evidence and feels the necessity of seeking for an assurance in support of the conclusion deducible therefrom..."
"19...The confessional statement of a co-accused could not be used as substantive evidence against the co-accused." "102. Section 25 of the Evidence Act was enacted in the words of Mehmood J. in Queen Empress v. Babulal, ILR (1884) 6 All. 509 to put a stop to the extortion of confession, by taking away from the police officers as the advantage of proving such extorted confession during the trial of accused persons. It was, therefore, enacted to subserve a high purpose. (a) There should be in the first instance statement made and signed by a person before a competent custom official. (b) It must have been made during the course of enquiry and proceedings under the Customs Act. 114. Only when these things are established, a statement made by an accused would become relevant in a prosecution under the Act. Only then, it can be used for the purpose of proving the truth of the facts contained therein. It deals with another category of case which provides for a further clarification. Clause (a) of Sub-section (1) of Section 138B deals with one type of persons and Clause (b) deals with another. The Legislature might have in mind its experience that sometimes witnesses do not support the prosecution case as for example panch witnesses and only in such an event an additional opportunity is afforded to the prosecution to criticize the said witness and to invite a finding from the court not to rely on the assurance of the court on the basis of the statement recorded by the Customs Department and for that purpose it is envisaged that a person may be such whose statement was recorded but while he was examined before the court, it arrived at an opinion that is statement should be admitted in evidence in the interest of justice which was evidently to make that situation and to confirm the witness who is the author of such statement but does not support the prosecution although he made a statement in terms of Section 108 of the Customs Act. We are not concerned with such category of witnesses. Confessional statement of an accused, therefore, cannot be made use of in any manner under Section 138B of the Customs Act. Even otherwise such an evidence is considered to be of weak nature." It was also held that sanctity of the recovery should be ensured. 38. We, therefore, in the facts and circumstances of this case, are clearly of the view that the purported confessions made by the respondent Nos. 1 and 2 could not in absence of other corroboration form the basis of conviction. 39. There is another aspect of the matter which cannot also be lost sight of. Standing Instruction No. 1/88, which had been issued under the Act, lays down the procedure for taking samples. The High Court has noticed that PW-7 had taken samples of 25 grams each from all the five bags and then mixed them and sent to the laboratory. There is nothing to show that adequate quantity from each bag had been taken. It was a requirement in law. 40. There is another infirmity in the prosecution case. An officer-in-charge of a police station shall take charge of and keep in safe custody, pending the orders of the Magistrate, all articles seized under this Act within the local area of that police station and which may be delivered to him, and shall allow any officer who may accompany such articles to the police station or who may be deputed for the purpose, to affix his seal to such articles or to take samples of and from them and all samples so taken shall also be sealed with a seal of the officer-in-charge of the police station." PW-7 did not testify as to which of the bags seized had been sent for analysis. No statement had been made by him that the bags produced were the bags in question which were seized or the contraband was found in them. 42. For the reasons aforementioned, there is no merit in this appeal which is dismissed accordingly. An accused cannot be convicted on basis of confession of co- accused. Maker of confession may be bound thereby but not those who had been implicated therein. Evidence Act, Section 25 - Confession by accused - Retraction made by accused only when the accused was being examined under Section 313 Criminal Procedure Code - No credence could be given to such a retraction made after a long time.